The CANUSB is the communication wire between the Winjall software on the PC and the Commander ECUs. This CANUSB needs the installation of drivers to work with the Microsoft (tm) Windows (C) operating systems: The installation of the Winjall software automatically installs these drivers at the same time it installs the Winjall software. The original drivers provided by Lawicel (CANUSB manufacturer) can't be installed on Windows versions from Windows8 because they are not signed by Microsoft. From Winjall version 7.00, the Winjall installation installs new signed drivers approved by all the Microsoft (c) Windows versions from Windows XP SP3, including Windows 8 and 10: The Winjall operation is then compatible with all these Windows versions. But with these new signed drivers, the old versions of CANUSB are no more recogniezd by Windows and it is so not possible to use the old CANUSB. You must so execute an update of the CANUSB to convert it to the new version. This update is to be done with the MajLwcl software that you can download from this page. 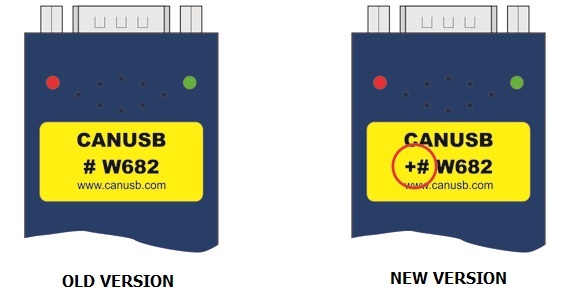 To know if your CANUSB is an old version to update or a new version that does not need the update, look at the yellow sticker on your CANUSB: If the serial number which begins by # is preceded by a sign +, you own a new version and the update is not to be done. When in doubt (if for example the sticker is unreadable), you can execute this update even on a new version. The MajLwcl software will prompt you that the update was not needed. This CANUSB update software can only run on one of these Windows versions. • Download the .zip file and save it in a directory on your hard disk. • With the explorer, double click on the downloaded .zip file, then double click on Setup. At the question on files extraction, answer 'Extract All'. • Launch the software with the MajLwcl icon on the desktop of your PC: follow carefully the instructions given in the software window. In the software list, select MajLwcl then 'Uninstall'. Follow uninstall instructions.